Surprisingly, I find few accounts of individual Indians of the Kankakee River Valley. Mingo is the exception. Both Werich and Nichols have accounts in their Kankakee River books about Mingo. However, the most detailed information about Mingo comes from Major McFadin as told to him by Killbuck and LaBonta. The following is the best I can I can piece together about Mingo from McFadin’s stories. Killbuck and LaBonta first met Mingo near the “Great Bent of the Missouri River.” That would be near today’s Kansas City. It would have been soon after the Potawatomi were removed from Indiana to Kansas in the late 1830s. Mingo was “swimming in a small stream when some of the Pawnees suddenly came upon him capturing Mingo.” Because of Mingo’s youth and striking figure has “placed with the family of a principal chief of the Tetons, a branch of the Pawnees” and gave him a more respected place with his captors. The relationship between Mingo and Niargua was noticed and her father was informed of the bond. Niargua’s father flew into a rage and he threatened to “shoot an arrow through Mingo for is bold pretentions.” As in the case of all youth this seemed to only strengthened the two lovers determination. It turned out that another brave was vying for Niargua’s attention. This rival was constantly taunting Mingo until he “demanded satisfaction.” They agreed to settle their difficulty by single combat, and the weapons to be used were war clubs and knives.” Mingo dispatched his adversary. With this victory Mingo was accepted as an adopted son of the band, but Niargua’s father would still not allow Niargua to marry Mingo. The two decided to escape to his Potawatomi camp along the Missouri. After a couple of days of hard riding, Mingo and Niargua reached Killbuck and LaBonta’s camp. The two trappers made note they were “much fatigued and wayworn.” Killbuck and LaBonta were concerned that this might be a ruse by a war party to gain entrance to their camp, but the condition of Mingo, Niargua and their horses convinced them they were harmless. Mingo told Killbuck and LaBonta that he was a “remnant of a tribe from the Wabash, Tippecanoe and the Kankakee Rivers” and told them of this land of plenty along the Kankakee. 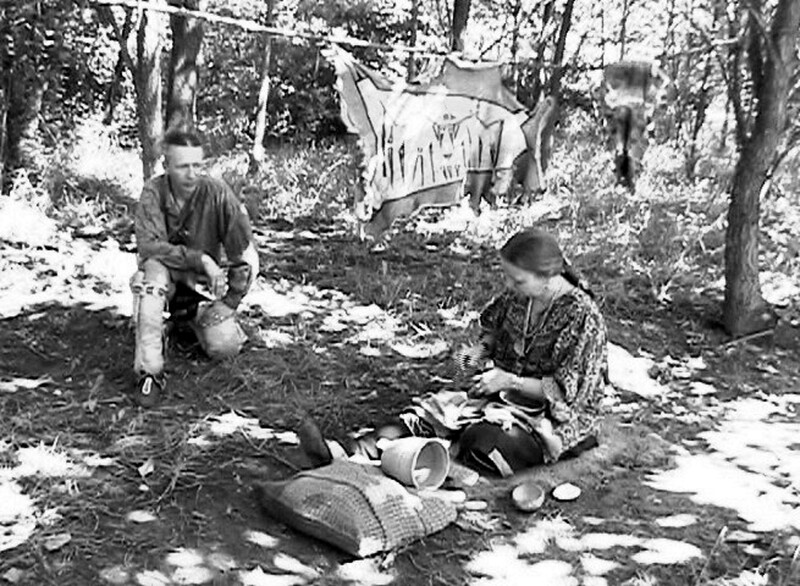 After refreshed, the two lovers made it safely to the Potawatomi encampment on the Missouri River. Soon afterward Killbuck and LaBonta pulled up stakes and made for the Kankakee Marsh where they hunted and trapped for the rest of their lives.